I’ve been making these little soakers since my first child was born eight years ago. I explored a lot of nappy options, but by far the cheapest option at the time was square cloth nappies and a woollen cover. They are very satisfying and slightly addictive because once you have knitted the waistband then you drop a stitch every row until you have none left – so each row is shorter than the last. The main part is finished very quickly, then it is just a matter of knitting up some leg bands for a snug fit, stitching up and adding elastic if you wish. You can knit them plain, in stripes or work out a pattern. I’ve only ever done that once …gave them a big heart bum :). I love to knit these in order to use up my yarn scraps in random colours and stripes. 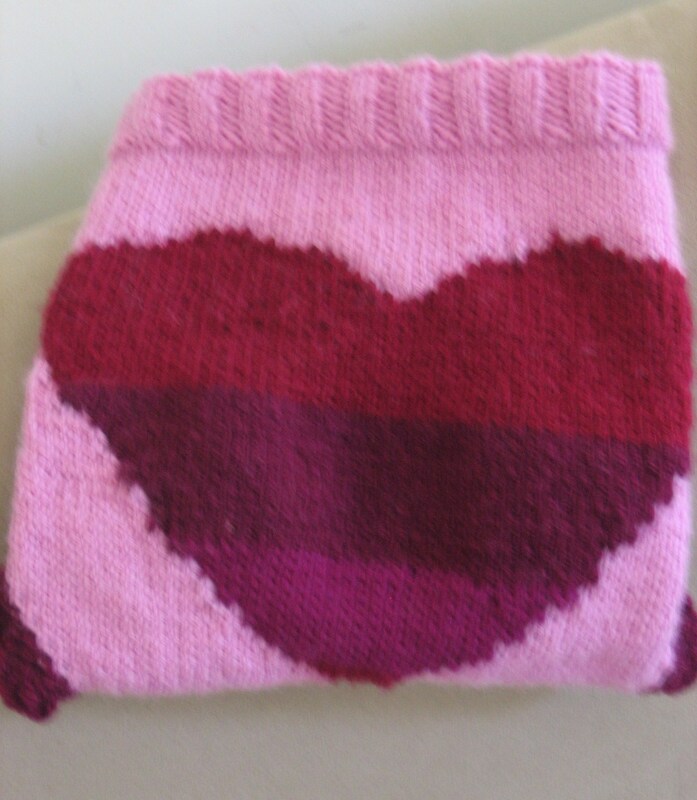 I also like to vary my stitches to give them an interesting texture, which looks great when knitted in a plain colour. I’ve even needle felted yarn on to the bum in a pattern (because I was too lazy to stitch it ) you can see that in the photo below of the orange pants with the spiral on them. I’ve also picked up the stitches at the base of the waistband, doubled them and knitted a frilly skirt over the top. Those took a while but were worth the effort! 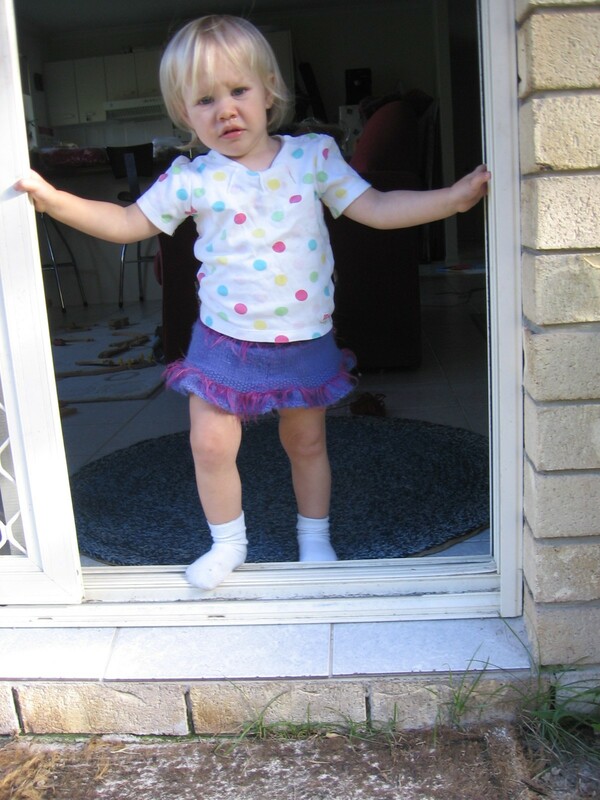 My baby girl looked so sweet in those. Knit 2 stitches, purl 2 stitches for approximately 8 rows, or until your work is about an inch wide. Knit one row, this will make a ridge-line along all the purl stitches in your work – this ridge will be used as the fold line for the waistband. Decrease by knitting together the first two stitches on every row. Your work will gradually decrease in length until you come to one stitch left. Break the yarn and thread it through the last stitch. You can either knit a ribbed cuff for the legs before you stitch it all together, or you can stitch it together first and then crochet a cuff on afterwards. The ribbed cuff gives a nice snug fit, which is useful for those moments when the contents of the nappy may overflow! 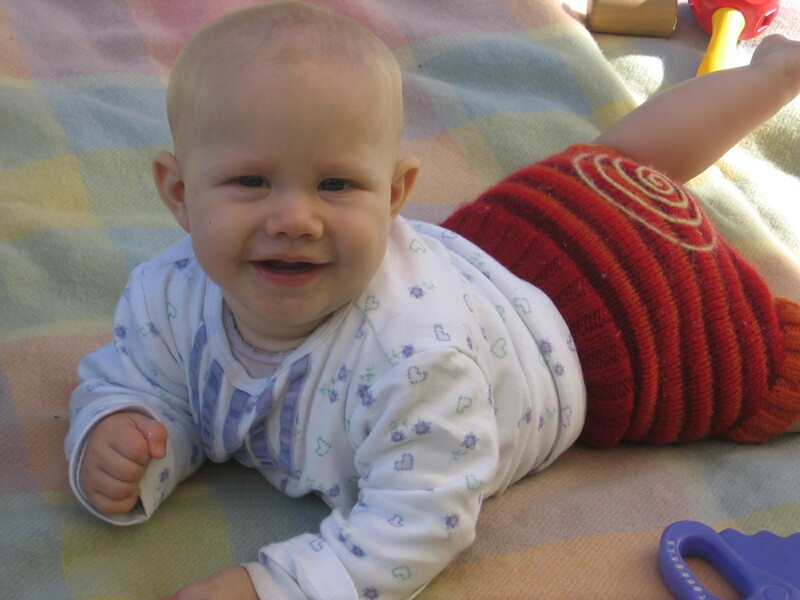 The crochet edge gives a pretty lacy look which is very sweet on baby girls. 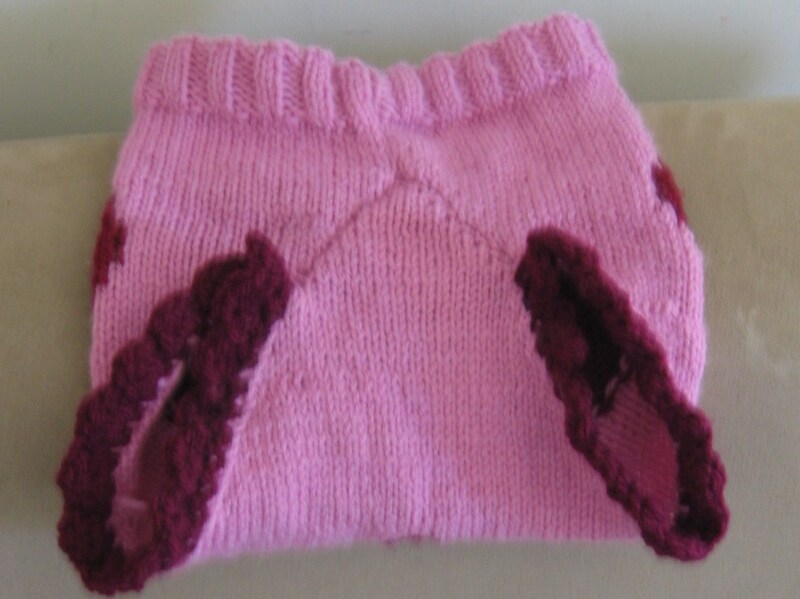 To knit the ribbed cuff fold and pin the soakers together to see where the leg cuffs need to go. Mark where the seams meet on one side, unpin the soakers and pick the stitches up between those two points. Knit 8 rows ribbed ( knit 2, purl 2) and cast off. Do the same for the other side, making sure that each side matches. To crochet the cuff follow the direction to stitch up the soakers then crochet a few rounds of loose double stitch on the leg holes to form a neat cuff. For frills do one round of double crotchet and then crochet three doubles into each stitch to make the ruffles. With right sides together stitch from the top of the waistband to the point where the work begins to decrease. Fold waistband over and stitch down, with the ridgeline showing on the right side, leaving a gap to thread the elastic through. Stitch up gap once elastic is secure. Position your work so that the seam is in the middle of the front. Bring the point up to meet the bottom of the front stitched seam. Pin in to place so that there are two gaping holes either side of the pin. Estimate half-way from the pin to the end of one of the leg holes and pin slightly above that point. Stitch. Same on the other side. Just be wary of chubby thighs….don’t make leg openings too small! Soak the pants in a solution of warm water with a small amount of lanolin dissolved in it. These will give the pants a light waterproofing which means when wet they will only need an airing in the sunshine, which will neutralise any germs and smells from urine. For soiled pants wash by hand in warm soapy water, lanolise as above and dry flat. If these pants slip into the hot wash cycle they will felt and shrink! You can do this on purpose if you want thicker pants….just make them bigger to start with. I can tell you from experience that medium nappy covers shrink to newborn size when felted!